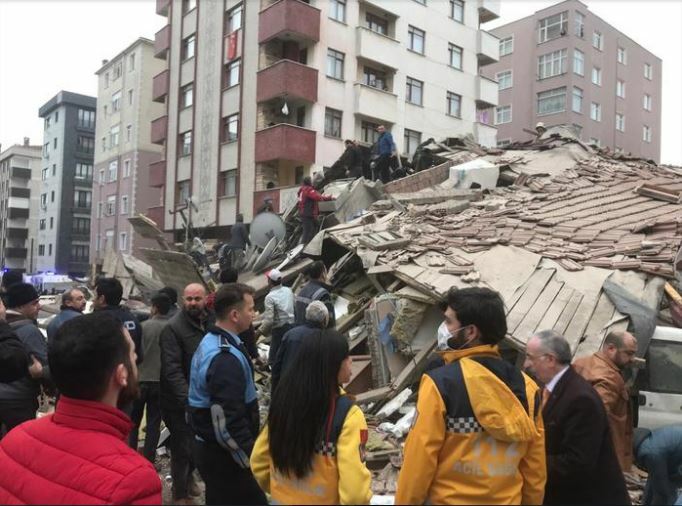 Two people were killed and six wounded in the collapse of a seven-storey building on Wednesday, the Istanbul governor said in a statement. People remain trapped under the rubble, the governor said, without giving an exact number. The building was located in Kartal, a densely populated district on the Asian side of Istanbul. Two neighbouring buildings were evacuated as a precaution, the statement said.